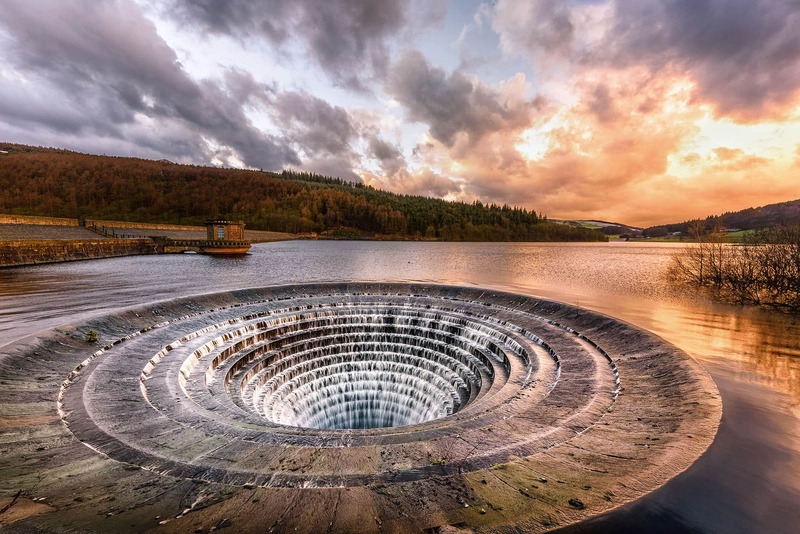 I had been planning a photography trip the Ladybower plughole for some time now, I arranged this trip with one of my good friends Phil who is actually from Birmingham. We set off from Doncaster and it was a glorious day, the journey on the way down has some amazing views overlooking rolling hills and valleys. we first went to the town of Castleton first to have a look around as we wanted to wait for the perfect light for the photo at golden hour. As soon as it started getting closer to sunset we set off to find the reservoir, originally we couldn’t find the plughole as its actually lower then the wall and you can only see it if you get out the car, I know a lot of people who take test their photography skills out on the Ladybower plughole as it really stands out as a photo. Just as the sun was setting, some dark clouds came over and strangely it started snowing, With landscape photography, you never know what is going to happen and you need to be able to adapt to the ever-changing weather. As it was snowing we went and sat in the car to plan where we would go from there. I looked up and seen a small gap in the clouds moving across the sky, I thought it may be worth risking walking back down and maybe with a bit of look, that gap in the clouds would let the sun come through and shed some golden light down. to our surprise it did and we both ended up getting a great photo of the Ladybower plughole. I have spent a lot of time in Castleton and absolutely love going to visit in the summer months, the views are breathtaking and you can always get some great photos in Castleton to which is 10 minutes drive from the plughole itself. Are you planning a trip to the plughole? Join Ben Harrison for one of his landscape photography courses, where you can hone your skills and sharpen your eye while roaming some of the most beautiful sites in the UK.